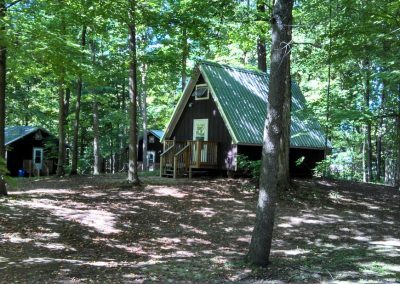 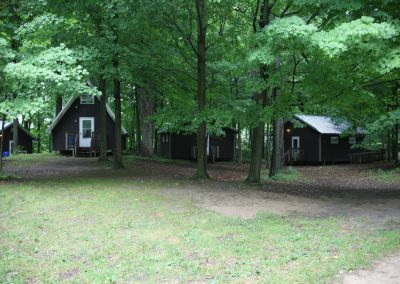 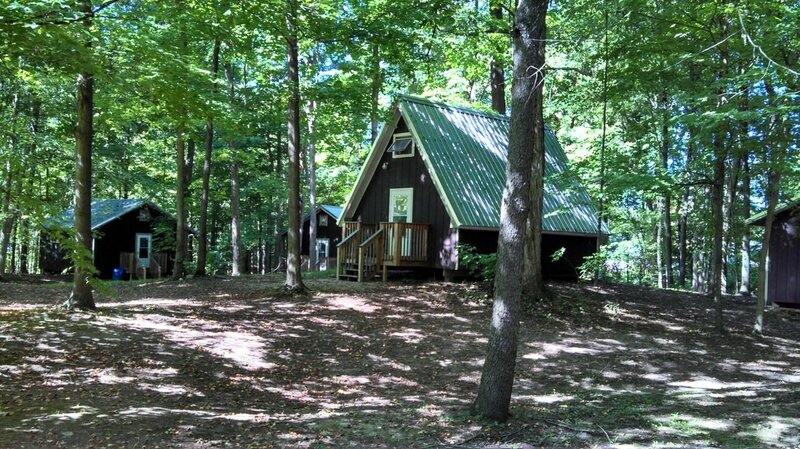 There are 6 Bunk Houses (Squad Huts on Map) set privately in the woods on a quiet road. 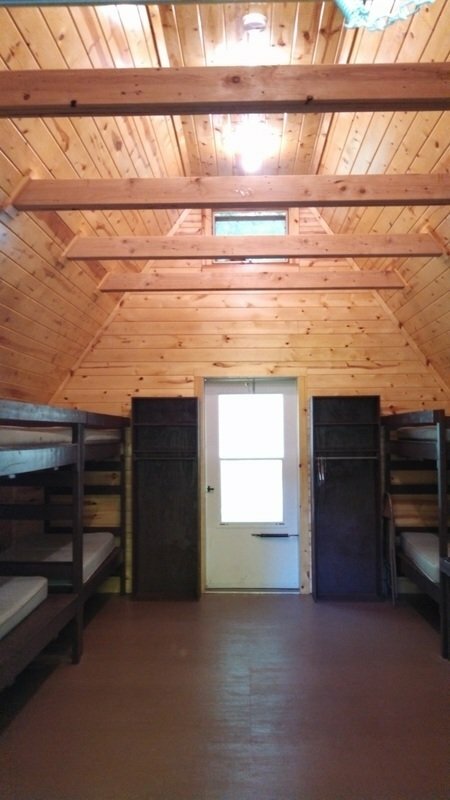 These are have been updated and are very nice. 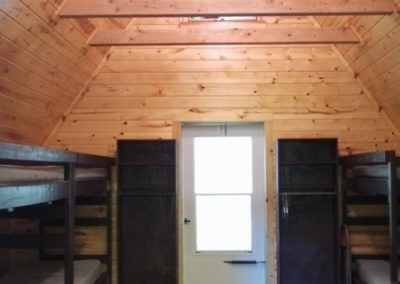 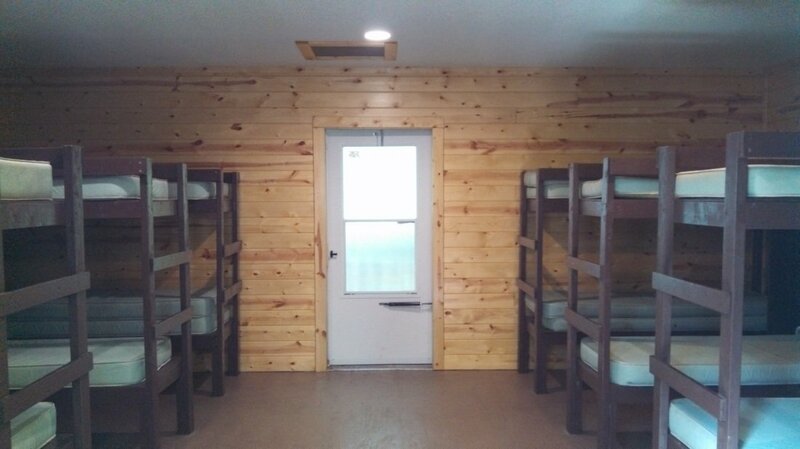 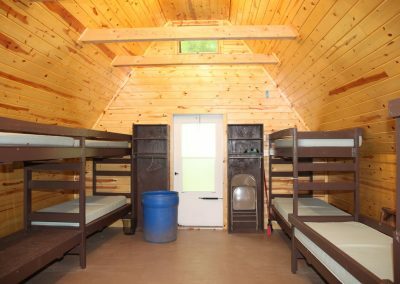 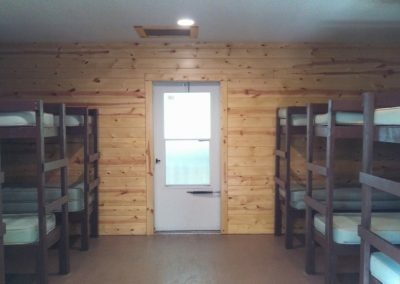 There are 8 bunk beds in 5 of the Bunk Houses and 6 in the other, sleeping a total of 92 people. 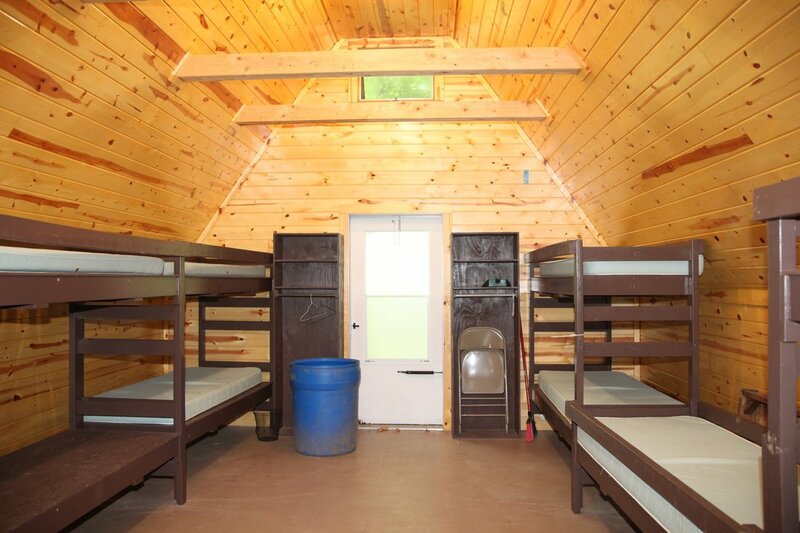 The Bunk Houses are a short walk to Bath House 1 and Bath House 2, both with excellent showers. 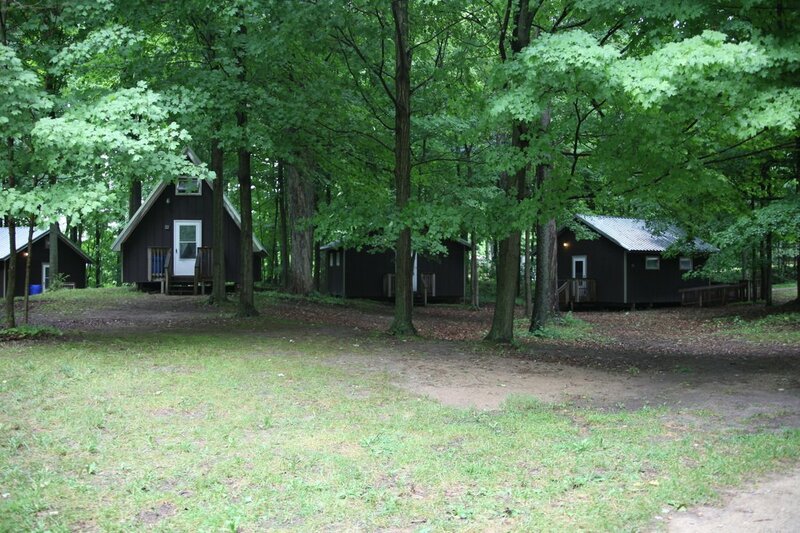 They are close to the Dining Hall where a large community fire pit area can be used.